High Pond Farm: A stunning 40 acre private estate with 4 bedroom,4 bathroom home located in Stowe. This magnificent property offers expansive views including Camel's Hump and Mt. Mansfield with a 5 acre swimming and boating pond. Surrounded by 3200 acres of State Forrest, including trail systems, this estate is one of a kind. There is a large chef's kitchen with an open living room and wood burning fireplace. Off the living room there is a spacious dining room with three walls of windows looking out to the apple orchard. The main level also features a master bedroom with an en-suite bath and a den. The second floor has three bedrooms, one with an en-suite bath.Off the mudroom and storage room in the main house is an attached over-sized barn style garage. The house has a beautiful screened in porch overlooking a manicured lawn and the pond. The pond has a sand beach and islands which are home to several different kinds of wildlife and fish. 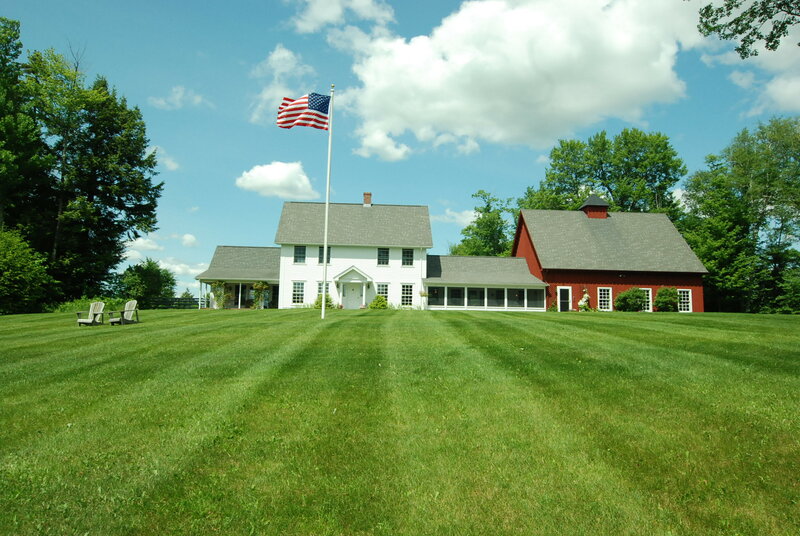 Click here to learn more about High Pond Farm.